A nature documentary brought to life beneath a beating African sun. Welcome to Tanzania, a land of extremes. Hike to Africa’s highest point - the mighty Mount Kilimanjaro and dive to the lowest - the floor of African Great Lake Tanganyika, or explore an effervescent blend of cultures and languages. Over one hundred tribes call Tanzania home including the Maasai, whose famous red robes and warrior culture inspire awe in so many. Then there’s the wildlife. As well as the pull of sighting the majestic Big Five in the wild, the Great Migration is one of the most thrilling spectacles in Africa. There are countless wonderful experiences to be had in this African gem. 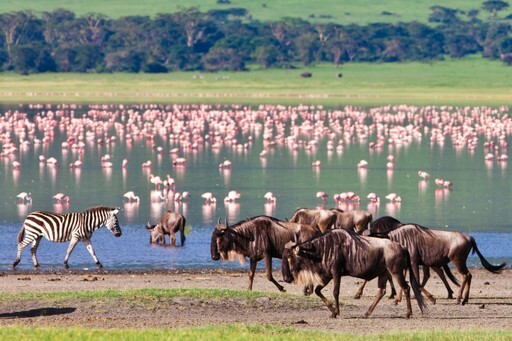 For further inspiration take a look at the trip ideas put together by our trusted local experts at the foot of this page, but in the meantime here are our top three things to do in Tanzania. Africa’s highest mountain stands in splendid isolation, rising 5,895 metres from the surrounding plains. 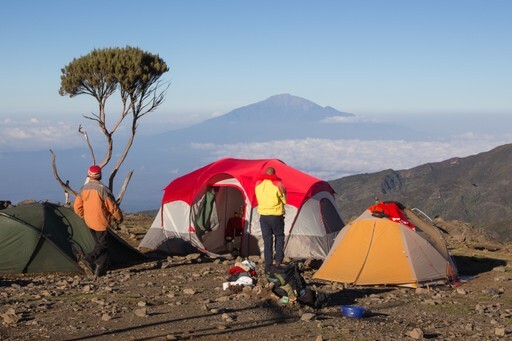 Mountains of this height are usually for experts only but with a bit of training, Kilimanjaro’s snowy peak can be tackled by all. One of the founders of our hand-picked partner company was born and raised in the mountain's foothills, so you couldn't be in better hands to plan your ascent. Whether you want to undertake a popular route, or a route less trodden, speak to our trusted local experts to plan your adventure. The Serengeti has been so key to nature shows that visitors could be forgiven for expecting a voice-over from David Attenborough to boom from the heavens. Witness all the legendary African animals roaming the plains, and head to the Mara River to see the spectacular crossing of the Great Migration into Kenya from July to October. This is the most treacherous crossing that the grazers face, with lions patrolling the banks and crocodiles lurking in the muddy waters. 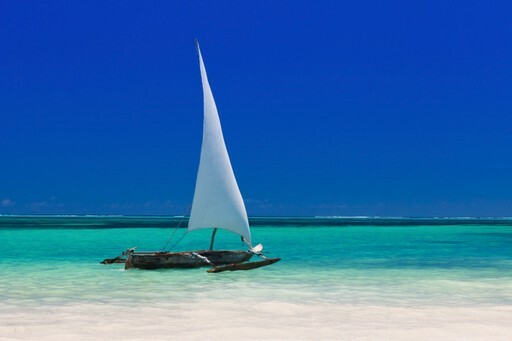 The Zanzibar archipelago’s bright blue sea and impossibly white sand makes it the perfect way to conclude your holiday to Tanzania. Have an exciting safari experience, then head to these blissful shores for some rest and relaxation. The region's beguiling blend of African and Arabian influence is most powerfully felt in Stone Town, whose endless passageways and street markets are alive with the atmosphere of a bygone era of nautical trade. Tanzania is warm to hot all year-round, with wetter weather dominating from March to May. 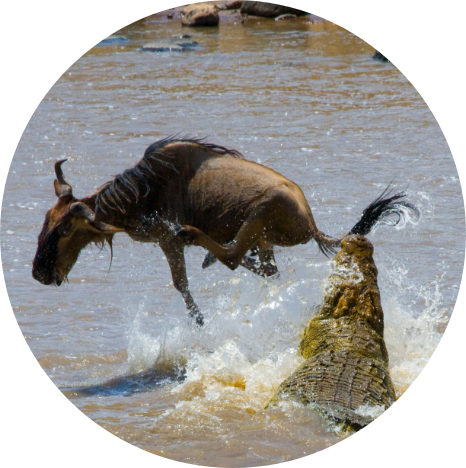 The Wildebeest Migration occurs in January or February, and this is widely regarded as high season. The months that make up “the long rains”, March to May, can involve intense daily downpours. June, July and August are dry, with highs of around 27°C and lows of 18°C ideal for the beach or cultural exploration. September and October are better for safari, though – the drier landscape brings animals into the open at watering holes. Create your bespoke holiday to Tanzania! All holiday ideas on TravelLocal are curated by us - we make sure our ideas showcase the best of each country. Take a look and be inspired!